Are you a patient of Dr. Scott Wyman’s? Dr Harvey helped me back to my busy life within weeks after a hysterectomy and bladder reconstruction surgery. It should have been taken care of in August and I waited until December, which was difficult but necessary. Besides, this was my first operation and I admit I was terrified. But Dr. Harvey, without pressure, thoroughly explained my options and the procedure step by step using examples I could understand. He was very professional and took the time I needed to feel comfortable with having the surgery. It's one of the best decisions I've ever made and I couldn't be happier with the results. Thank you Dr Harvey! I have suffered my whole life from heavy bleeding and two periods a month. At 42, I finally decided to do something about it. Dr. Harvey and his staff are so warm and professional. They are great from start to finish with patient care. I had a robotic assisted hysterectomy. It was one of the best things I've ever done for myself. I took pain pills for one day. I had no fear or hesitation knowing how specialized Dr. Harvey is in this area. I am forever grateful!! I had a laparoscopic hysterectomy done in January and have never been more pleased with any choice I have ever made. Dr. Harvey is so knowledgeable and explained every step, option, detail etc. in great length. I knew going into it that this was my best option and he made me feel so comfortable and at ease answering every question and thought I had. Being in so much pain for so many years, I was confident thst I would feel a little better but I felt AMAZING only 3 days after. By my 4 week check up I felt like an entirely new person. I truly can't say enough great things about Dr. Harvey or his staff. I'm so grateful for what he did for me that it's hard to put in to words. Went to Dr Harvey for an incontinence issue that I’ve had for quite some time now. Dr Harvey spent a great amount of time with me explaining my issue and how it could be taken care of. He explained the robotics procedure, as well as gave me other options. I agreed the robotics would be the best for me. Dr Harvey is a very caring patient doctor. He truly cares about his patients and their comfort. His assistant Dr Wyman was wonderful. Dr Harvey’s office staff is amazing! I knew exactly what my out of pocket cost was going to be prior to having anything done. They were all very professional whenever I had any questions. It was a very easy process for me. I appreciate all the help with getting my procedure done. I highly recommend Dr Harvey, Dr Wyman and their staff!! Very happy with my results. Thank you all. I had a total hysterectomy & bladder lift in July 2018. I am very happy with the outcome. Dr. Harvey was professional, warm & explained everything to me & answered all of my detailed questions. Barb RN, Dr. Harvey's nurse was nice, efficient and professional. The office staff were super and Sylvia was especially helpful in sorting out insurance deductible issues for me. The robotic surgery gave me a much shorter recovery time and minimal scarring. Community Medical Center gave me great care. I have absolutely no complaints. 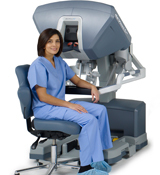 Robotic surgery is the best choice for minimal discomfort and quick recovery. I had traditional surgery 29 years ago that took months to recover from. The recovery from this one was about a week. My problems are resolved, with the excellent care and treatment by Dr. Harvey. I highly recommend him for your medical treatment. The staff in his office were friendly and provide compassionate care. Montana Robotic Surgery was definitely the right choice. After years of suffering with prolapse issues and two previous surgeries, I was encouraged by my daughter to go to Dr. Harvey. I researched his reputation and was very impressed. I even began to have hope that he could really help me. His kind and matter-of-fact bedside manner were very reassuring, and the results of my surgery have been amazing! I have my life back! I highly recommend Dr. Harvey as a provider and a skilled surgeon! I recently needed to have a hysterectomy and cystocele (bladder) repair. I was referred to Dr. Harvey and could not be happier. The entire office staff, Dr Harvey and his nurse Barb are wonderful. Dr. Harvey described the procedure to me in detail, took all the time I needed to answer my questions and got me scheduled for surgery within a time frame that was very reasonable. After being discharged from the hospital Dr. Harvey called me personally to check on me. The robotic procedure is wonderful and essentially painless. I am recuperating well and have no pain from the surgery. After years of heavy periods, pain and several other symptoms I decided to see Dr. Wyman at the recommendation from many people. I had put this appt off for many years because I was tired of hearing the same thing "Well lets try putting you on the pill for 6 months to a year and see if that helps". I told Dr. Wyman that I didn't want to be on meds or the pill and he said okay, no questions asked, no pushing the pill. He came up with a game plan which was a laparoscopic hysterectomy. Surgery went smoothly, as did my over night stay. Dr. Wyman came in the next morning early to round on me and get the discharge moving along so I could leave ASAP for a daughters sporting event. He was wonderful, explained everything in a way that was easy to understand. His bedside manner, even in the office setting, is by far the best I have ever received. The only thing I would have done differently is not wait so long to finally call and make that first appt. I am three weeks post op, feeling great and am back to work! 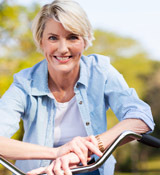 Dr Harvey helped me back to a normal life after a hysterectomy and bladder reconstruction surgery. Dr Harvey thoroughly explained my options without pressure and once I made the decision to move forward with surgery he completely explained step by step what would be done. It's one of the best decisions I've ever made and I couldn't be happier with the results. Thank you Dr Harvey!